In this article we look at how to measure and calculate occupancy in the contact centre. Occupancy is the percentage time that advisors take on call-related activity compared to the logged-in time. ‘Call-related activity’ covers talk time, hold and after-call work (ACW). So, if the contact centre has an occupancy of 75%, it means that its advisors are spending three-quarters of their time doing “call-related activities”. Occupancy is often referred to as “utilisation”, yet the two terms vary slightly. Utilisation considers total time at work (including training sessions, meetings etc. 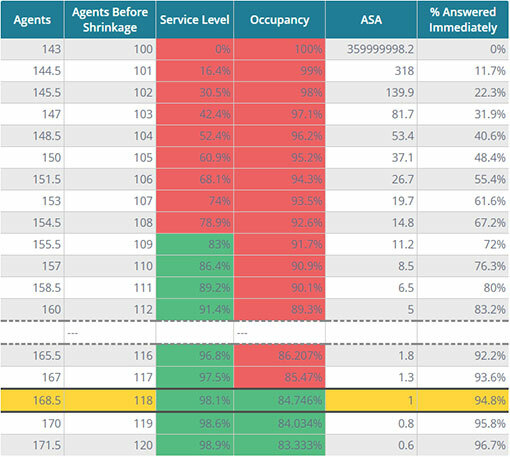 ), while occupancy only considers the time when advisors are active on the contact centre floor. To calculate occupancy, the contact centre first needs to total the amount of time each of its advisors spends on “call-related activity” – from the time that they sign in, to the time that they sign out – on a day-to-day basis. This is called the “total handling time”. The contact centre would also need to tally the “total logged-in time” across the day. This is the total amount of time all advisors have spent “signed in” over the course of the day. Once the contact centre has calculated these figures, it can then simply divide the number calculated for “total handling time” by the figure calculated for “total logged time” and multiply the result by 100, to find a percentage occupancy. The formula for this is highlighted below. Below is an example of how to use this formula, using data from a team of seven contact centre advisors. With this information, the contact centre would be able to calculate that its rate is 86.9. Maximum occupancy is often a factor that is ignored in the process of calculating how many agents you need in the contact centre. This doesn’t make any difference in a small contact centre, but it is a major factor in why so many larger contact centres are understaffed. The simplest interpretation of occupancy suggests that the rate should be kept as high as possible, meaning that advisors use all the time available to them. While it is broadly true that contact centres with high occupancy rates are running more efficiently, such a simple understanding of this data falls short of representing the realities of call centre planning. High occupancy means little or no time between calls. This is known to drive down both advisor satisfaction and performance. 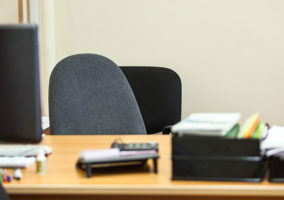 The most obvious consequence of occupancy rates that go above 90% is advisor burnout, as high occupancy means little or no time between calls. This is known to drive down both advisor satisfaction and performance, which may ultimately result in advisors leaving the call centre. To understand if you need to take occupancy into account, you first need to set an occupancy target, just as you would for service level. Instead of the earlier stated 100% figure, James Barnes, Director of Customer Contact Consulting, believes that most contact centres have a more realistic occupancy rate. James’s clients would have set an occupancy rate target of 85-90%, to find the ideal mix of productivity and achievability. A higher than 90% occupancy rate would likely lead to agents picking up undesirable behaviours on calls or succumbing to burnout or the contact centre having increasing attrition rates. The average percentage entered into our online Erlang Calculator is 83.3%, based on over 160,000 calculations by contact centre professionals. By having to enter an occupancy figure into the Erlang Calculator (a tool that contact centres use to determine the number of advisors needed), it becomes clear that it is important to measure for staffing calculations. The bigger that the contact centre grows, the more important it becomes to monitor occupancy, to ensure that it does not exceed 90%. Why? Because when contact volumes increase, the number of contacts that each individual advisor handles will grow also. This results in an increasing occupancy rate. The table above shows that at 500 calls, the occupancy rate reaches 91.7%. So, when large contact centres make staffing calculations, it is very important to monitor occupancy to protect advisors from burnout. For example, while a contact centre may need only 156 advisors to meet call volumes of 500 per half an hour and a service level of 80%, more advisors are needed to keep occupancy below 90%. So, as shown below, our Erlang Calculator recommends that 160 advisors are needed instead. 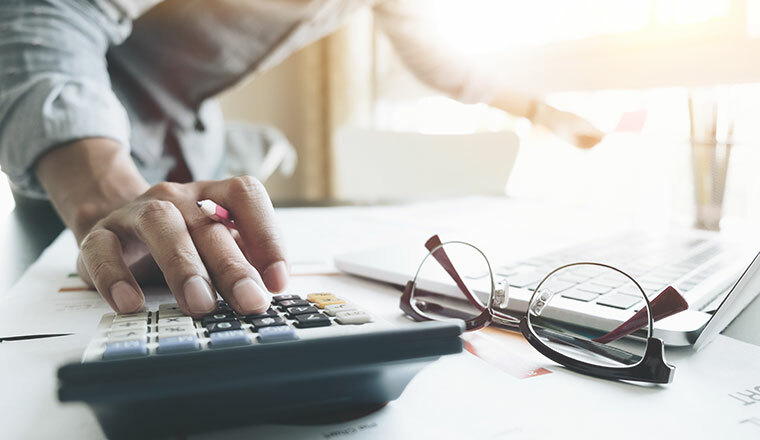 While we have already warned that occupancy should never go above 85–90%, here are two other things to beware of when calculating the measure. When occupancy is too low, advisors have little to do, and the contact centre is essentially wasting money. When it is too high, advisors are overburdened, and the centre is operating too close to its capacity. Call queues will grow, and service level suffers. The most direct way to influence occupancy is by changing the number of advisors taking calls. How effective this will be depends on the number of seats at the contact centre. Smaller centres are more affected by changes in traffic volumes, but can respond more easily, as fewer advisors represent a higher proportion of the total workforce. Blended advisors, advisors who can take inbound or outbound calls as required, make it reasonably straightforward to adapt. Rather than being sent away, advisors can be assigned to other activities like email correspondence or e-learning. However, while this does fill time, the inability to measure progress means it is not guaranteed to be any more efficient than having advisors simply wait to take calls. While occupancy certainly isn’t the most tricky metric to use, it is often confused with other contact centre measurements such as conformance, utilisation and adherence. Conformance – The total amount of time an advisor was scheduled to work versus the amount of time they actually worked, expressed as a percentage. Adherence – The amount of time advisors spend at work as a proportion of the time that they are scheduled to work, expressed as a percentage. 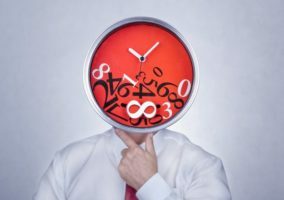 Conversely, if an advisor were to show up for a 180-minute shift work on time but leave five minutes early, their adherence rate would also be 97.2%. 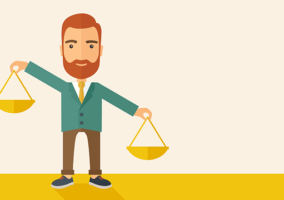 Do you measure occupancy in your contact centre? And do you agree with our method of calculating it? What Is the Difference Between Occupancy and Utilisation? How do I Calculate... Schedule Adherence? what about the agent training time /feedback time /meeting time ?